Everyone loves a barn find; there is something special about a car that has just been discovered after years, or even decades, hidden away out of sight. Collectors will even pay a significant premium for the most original barn find examples. Just look at the price Bonham's achieved for this barn find this E-type, admittedly an early "flat floor" roadster, a few months ago: http://www.bonhams.com/press_release/13501/ - more than 3 times the pre-sale estimate! Originally delivered by Jack Barclay to Mr David A Gale of Pegglesworth (near Cheltenham) in 1928, subsequently owners were resident in Sussex, Stoke-on-Trent and Perth. 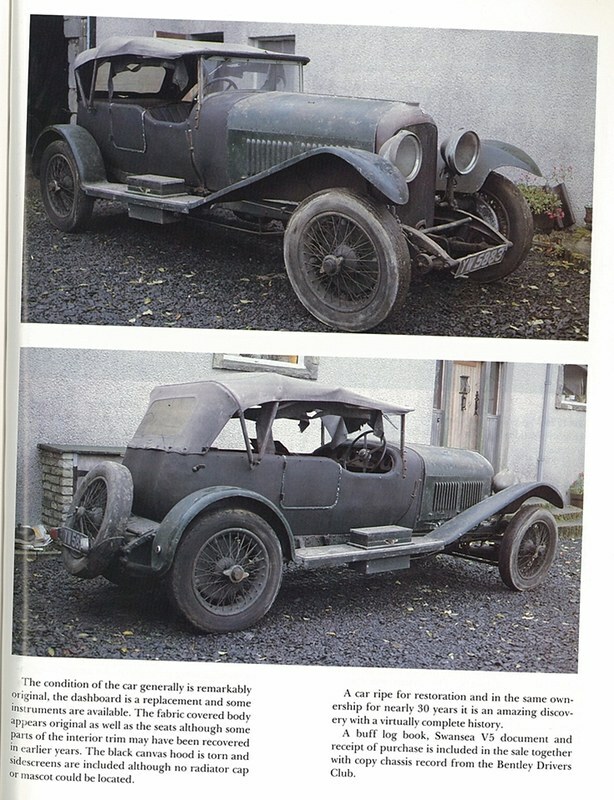 In 1965 it was acquired by Mr Samuel Alexander of Glasgow and in 1966 he put the car in storage ahead of planned restoration works. Almost 30 years later it was removed from storage to be offered at the Sotheby's auction with guide of GBP60-80,000, the catalogue describing it as in remarkably original condition but ripe for restoration. For those of you interested, the hammer price in December 1994 was GBP 75,000...not far off top of guide.